it lists "garlic", "clay", and "kefir" as the perfect trifecta to intestinal health. I am discovering that gut health is the foundation. Gut issues are linked with every ailment from IBS to autism. It seems prudent to keep the digestion working well. The jumble of my brain!! I continue to learn and work at finding balance in my life. Nutrition, exercise, relationships, 3 jobs, mom/wife responsibilites, school commitees and more!! Since becoming a nanny (June 2013) I have much less "me time." A couple of daylight hours to meal plan, FitClick track, reflect and read are really hard to come by. When marching band season is in full swing (Aug-Oct) it is even worse!! What a journey it is when one takes on change. It is amazing how we can evolve and change. It sounds like an exciting venture to say the least! I always find implementing one change at a time is best. But some are mutli-taskers and enjoy several challenges at once. Kudos! Love it. You continue to be an inspiration to me. How Leptin Hormone Effects Metabolism / Why Calorie Shifting Works! I just read an interview conducted by one of my favorite exercise/nutrition/motivation authors, Tom Venuto. He interviewed Joel Marion who release a wellness system called "Cheat Your Way Thin." Hi, I'm Nina! Its kind of cool & interesting to write you for friends. If you wish to know more about me, email me at (ninabebehareef@yahoo.com). Yay! I reached another goal since last month's update. My Body Fat % is now in the excellent range. Very cool. I know what you mean about keeping yourself accountable when others around you are not. Do they have a computer where you are going so you could "take a breaK" and log your food as best you can. I'm sure they have a scale so you could track that too. If we can't keep in touch over Thanksgiving I'll be pulling for you. Hey, how about lowering your goal to 140, you can do it. Did you hear or read the story about the college nutrition professor who went on a 2-month "Convenience Store Diet" and lost weight? This is great advice: "Eat what you like... don't change a thing... just weigh and measure every bite accurately and RECORD IT! Restrict your portions/calories to a healthy DEFICIT." James O. Prochaska, Ph.D. along with J. O. Norcross and J. C. Diclemente are the originators of the Transtheoretical Model of Behavior Change sometimes called the "Stages of Change." As you can see by following my diet tracker I have a protein shake after every workout. I prefer Jillian Michaels as it has less sodium and more protein. It is also $10 vs. $20 for the Curves shake. I have worked it into my everyday calorie intake. The triple chocolate is my favorite. Congrats to you!!! Enjoy the success and all the support you have around you! Wow, you give so much i nspiration and insight. Don't just post at Curves, write a book, I would love to buy it and give it as gifts to all my friends. Love your pictures how wonderful your Curves supports you like that. Way to go! You are the "biggest loser" on your own terms. You need to enter your success story on the My Cuves site. You are one of my inspirations and keep me going. Congrats! Today I need to remind myself of some basics. I need to see the bigger picture and remember that the finish line is months away and that this is not a sprint but a steady march with a strategy to get there. So I write this to put my mind in the right place. I'm setting my mindset in the same direction as you. Up my calories on Phase 3 and work toward lean muscle to replace fat. I also weigh myself every morning and celebrate the small losses and don't dwell on the gains. I imagine how I will look in 3 months, then six months if I keep on this road I'm going down. I also weigh every day and have those mini celebrations! But also like you, Phase 3 is a struggle to stay focused when the scale creeps up. It IS hard to switch gears and remember during Phase 3 that you are looking for "maintaining" vs "loss". In my earlier days of this plan I would be terrified of Phase 3 and possible gain. But now I try to embrace it and enjoy the extra freedom (with limits) that I have. Wow; you have had QUITE the journey! 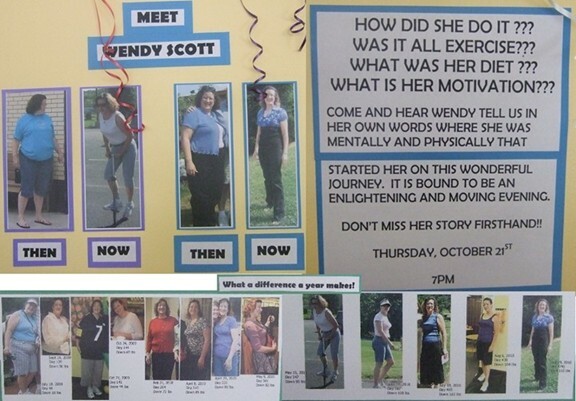 What an inspiration to those of use still struggling to escape "obese" category BMI! I'm glad you are starting the adjustment now. After such great success it must be hard to change the outlook. But you can't keep losing weight forever!